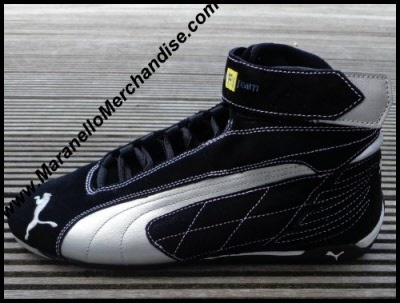 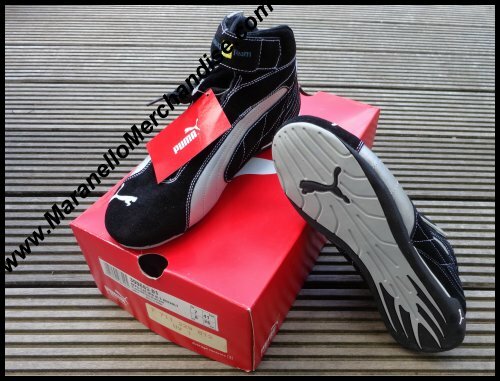 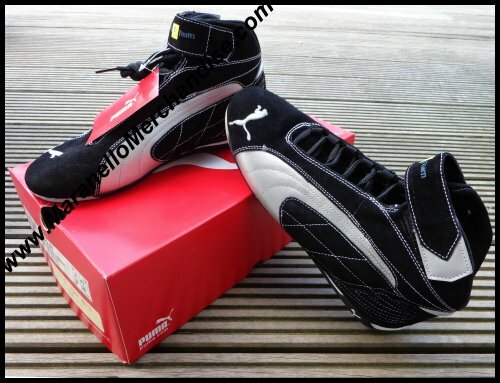 << Back Puma Renault F1 Team Sneakers - Mid -- LIMITED EDITION ! 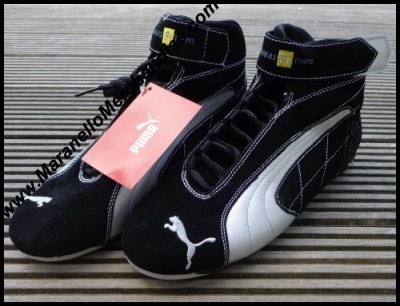 After "winning" the team clothing contracts of BMW Williams and Ferrari, Puma has also produced these mid trainers for Renault F1. 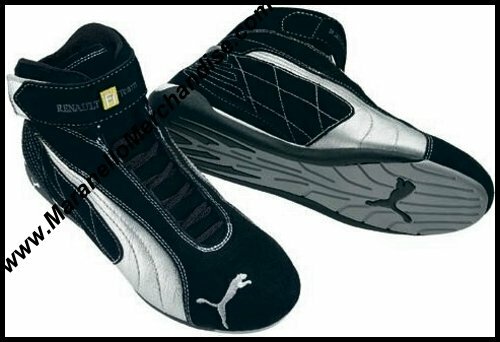 Team sneaker in black with silver metallic accents. 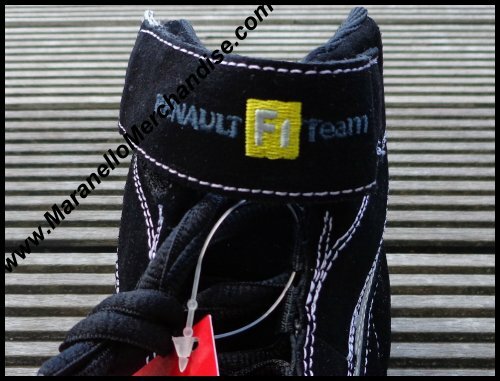 Renault F1 logo embroidered on the strap, PUMA cat embroidered on the back and on the front. Mid height trainer made of suede with PU sole.